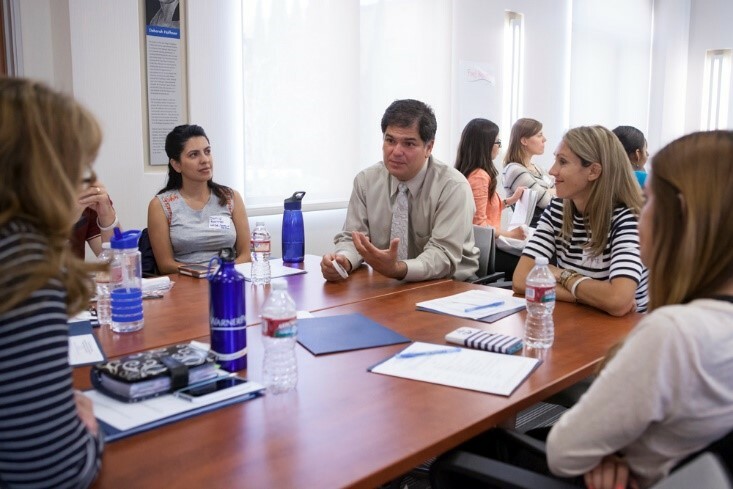 The UC San Diego Center for Community Health Training and Resource Center coordinated and hosted a Promising Practices Exchange for public health departments in Southern California from Imperial, Inyo, Riverside, San Bernadino and San Diego counties. 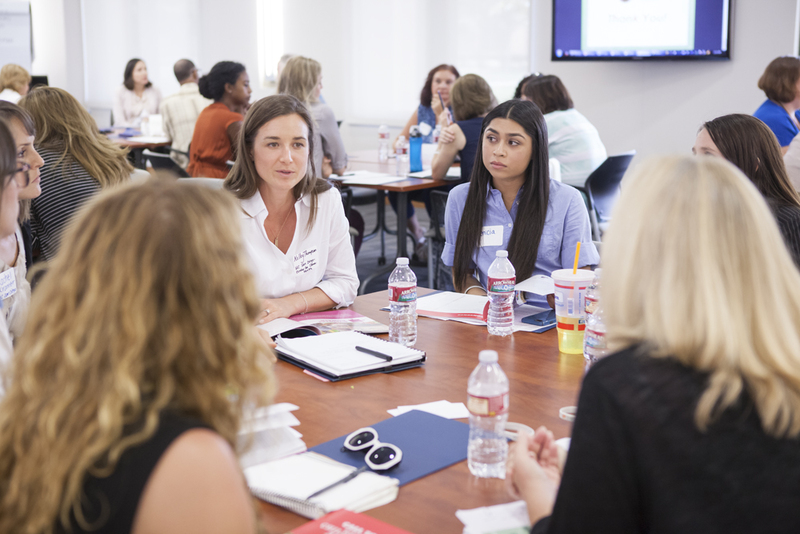 The forum also convened community-based organizations and public health advocates to share best practices, lessons learned and resources on reducing hunger and advancing healthy food and water access for Southern California’s underserved communities through multi-sectorial collaboration. The Promising Practices Exchange brought high-level speakers: Eric Handler, MD, MPH – Public Health Officer for Orange County Health Care Agency; Colin Cureton, MPP, MS – Food Systems Director from Community Health Improvement Partners; Francisco Escobedo, Ed.D. – Superintendent of the Chula Vista Elementary School District; Jennifer Winfrey – Recycling Specialist from the County of San Diego Department of Public Works; and Jeanette Flores, MPA – Senior Policy Director from the California Center for Public Health Advocacy. Forum participants walked away with new approaches and strategies for creating multi-sectorial collaborations to advance healthy food and water access for underserved communities in their counties. Participants also walked away with action items that their organizations will implement – actions that will involve sectors outside of public health to create a sustainable food system. Before leaving, participants shared one take-away from the forum that they will apply in their regions (e.g. farm-to-fork, food recovery, and water access). 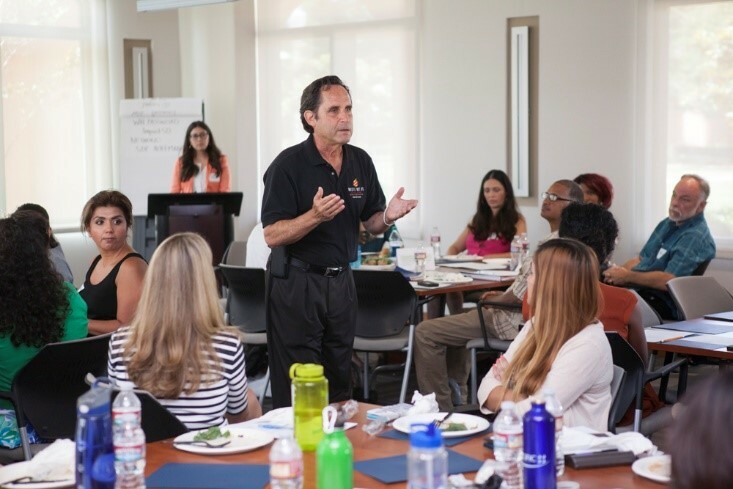 This Promising Practices Exchange was successful not only in bringing together experts on healthy food and water access, but also in convening five public health departments– Imperial, Inyo, Riverside, San Bernadino and San Diego– and their partners that had never previously worked together as a coalition. For over one year, the UC San Diego Center for Community Health collaborated with these five county health departments to promote healthy eating and active living among underserved communities. 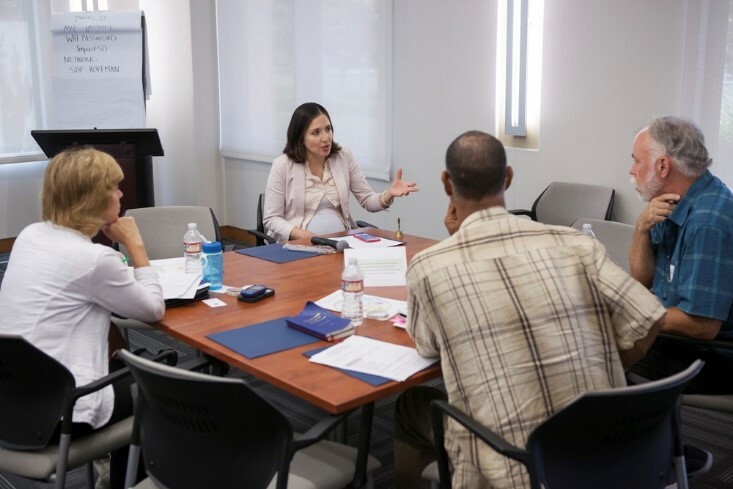 The coalition that formed convened at this Promising Practices Exchange to focus on a topic that the coalition prioritized as critical to address– healthy food and water access.